I loved the name of this picture book as soon as I heard about it, and when I reviewed it this week for Just Write for Kids Australia, I was not disappointed! While Shark Nate-O was written and published in the USA (Little Bee Books), it's just as appropriate for Australian readers as it is American ones, with its content about learning to swim, and various types of sharks. And, as you'll soon find out in my upcoming author interview with one of the writers of the story, Tara Luebbe, our very own Ian Thorpe actually inspired part of the book! 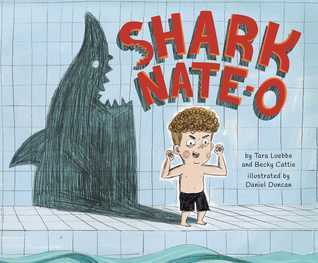 To check out my detailed review of Shark Nate-O, a humorous, clever picture book that kids will both love and learn from, click on this link.